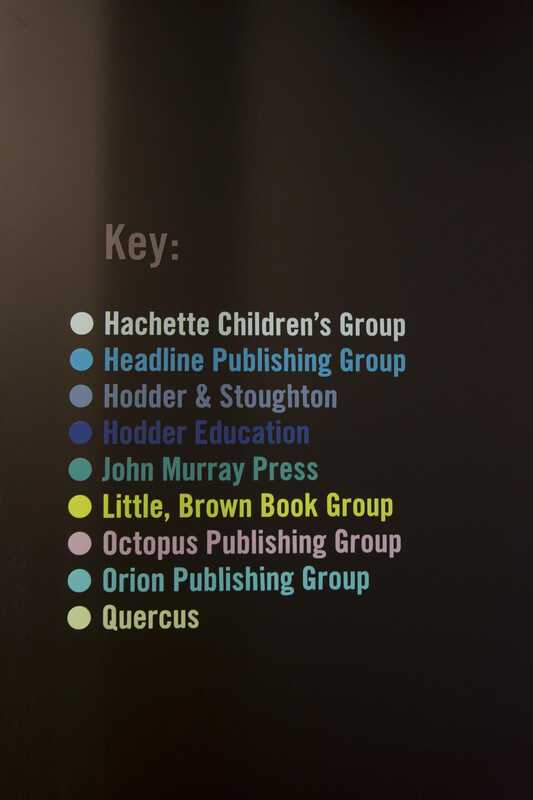 A blended history of 9 publishing houses belonging to Hachette UK. 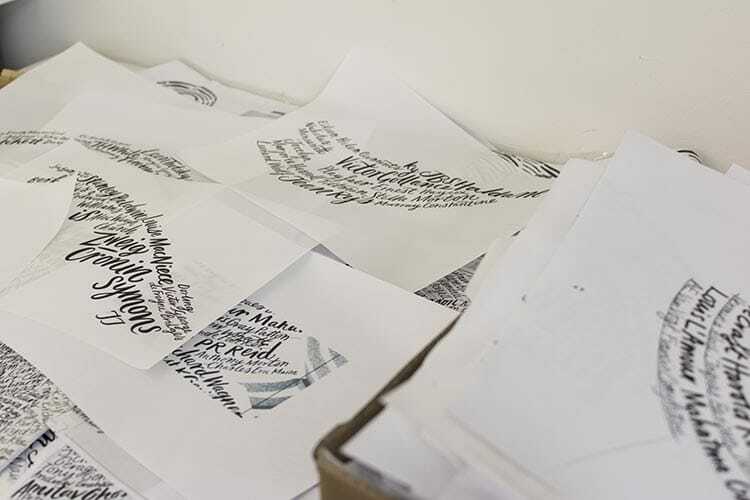 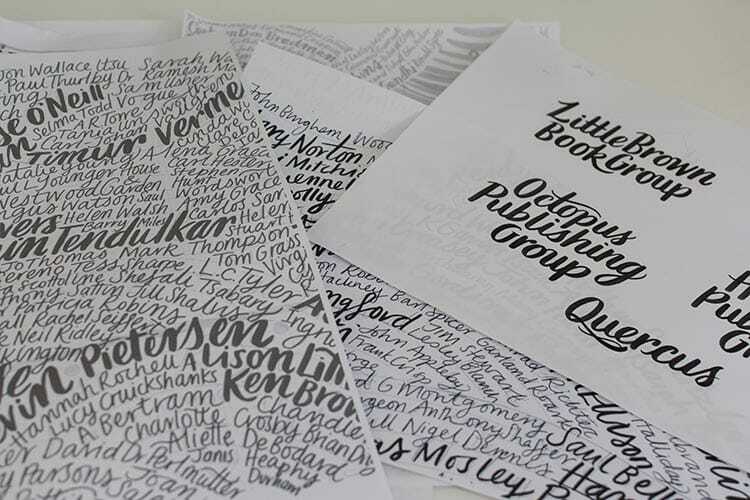 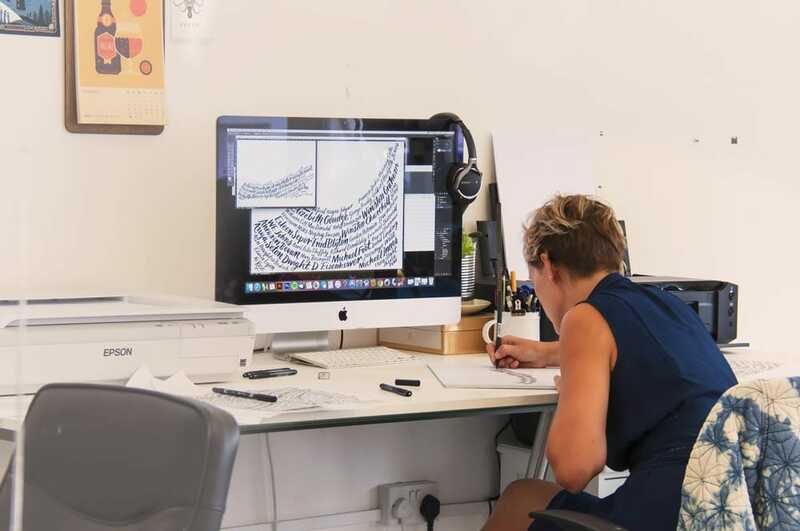 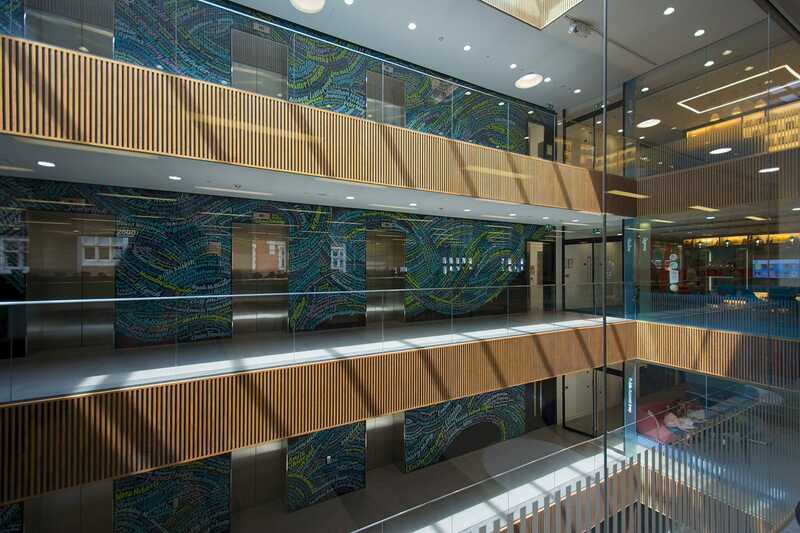 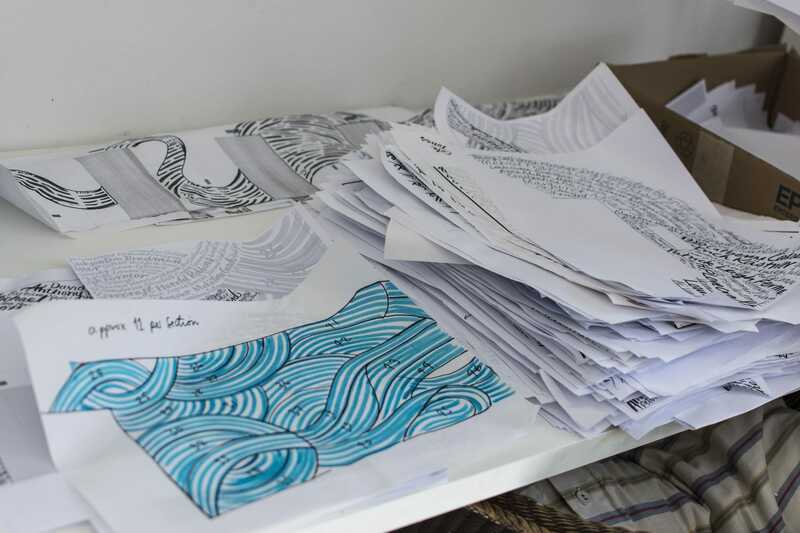 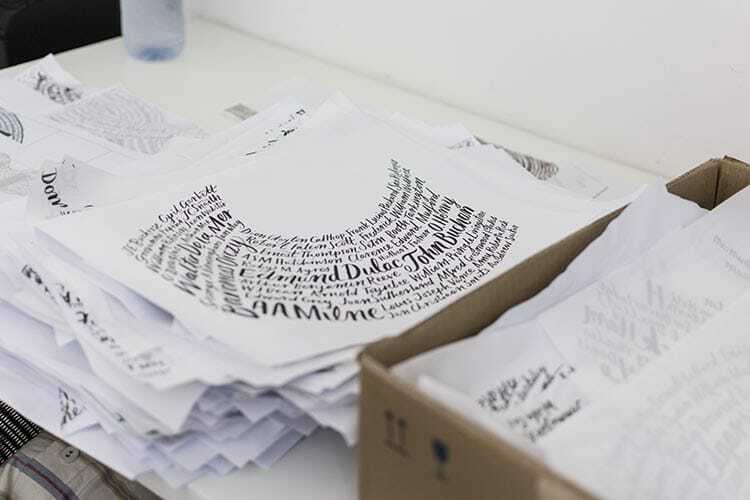 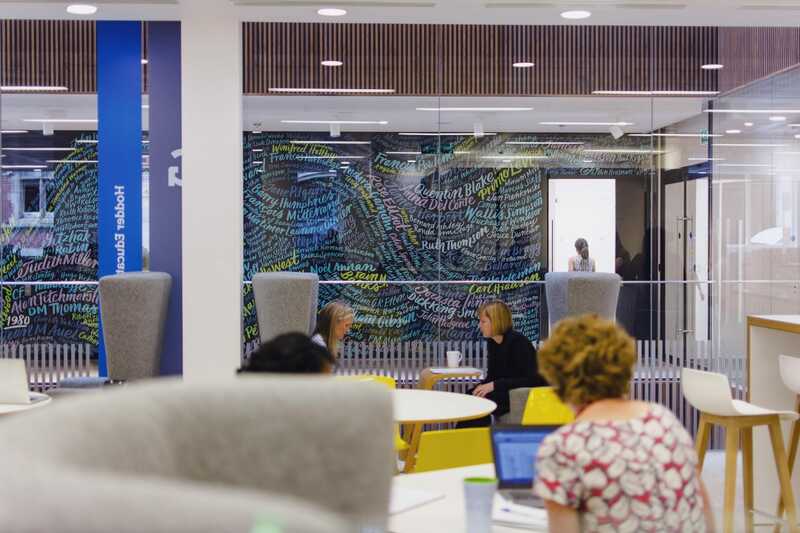 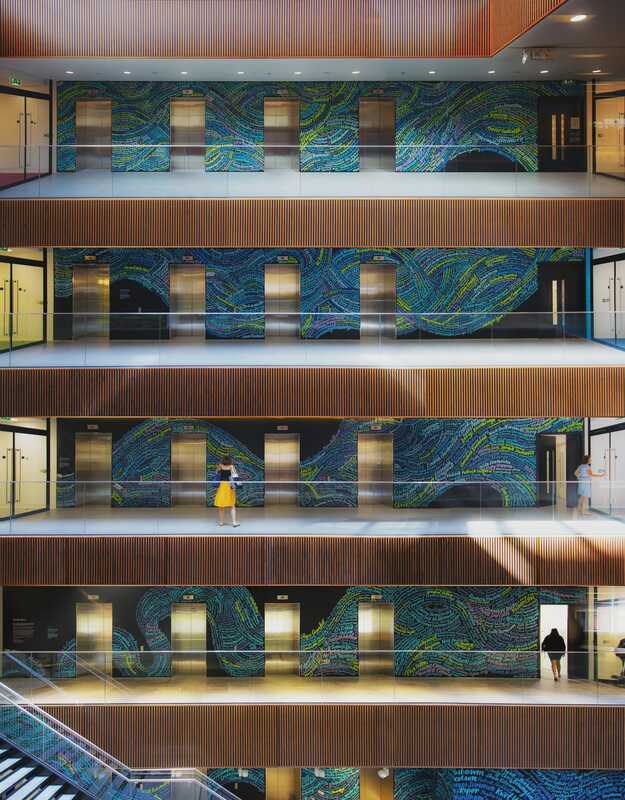 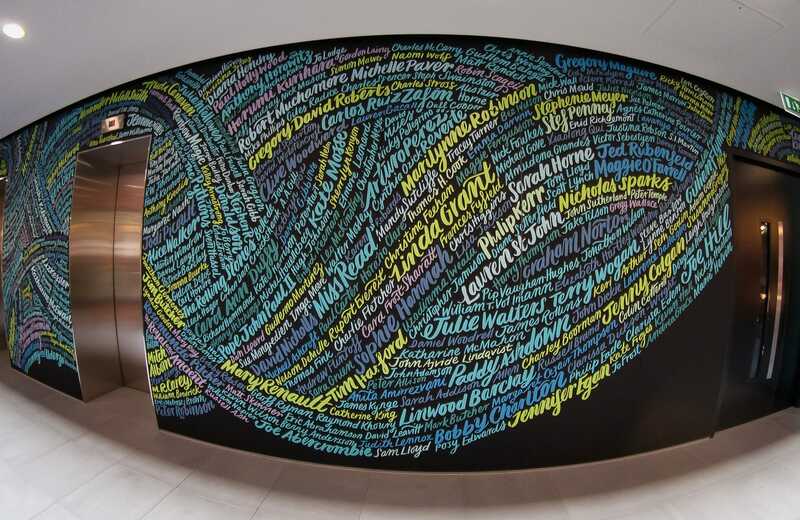 Consisting of 5,000 author names from 1768-2018 woven together in a fluid style referencing the Thameside location of Hachette's offices. 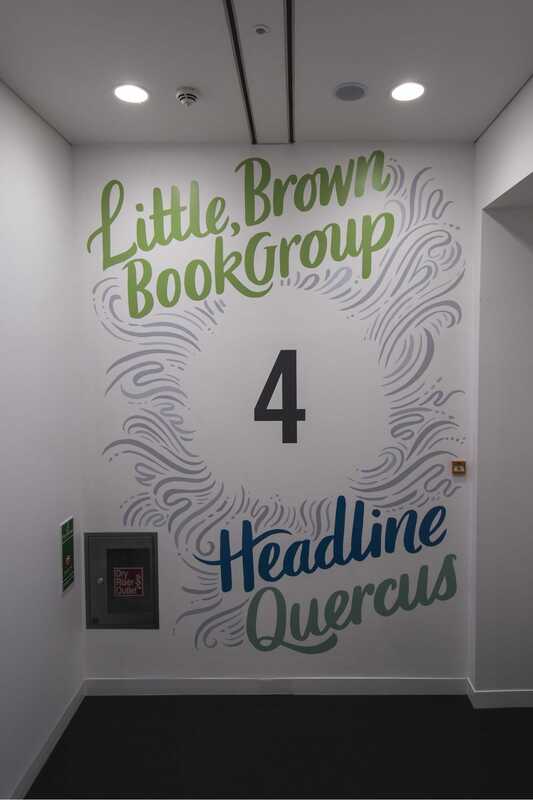 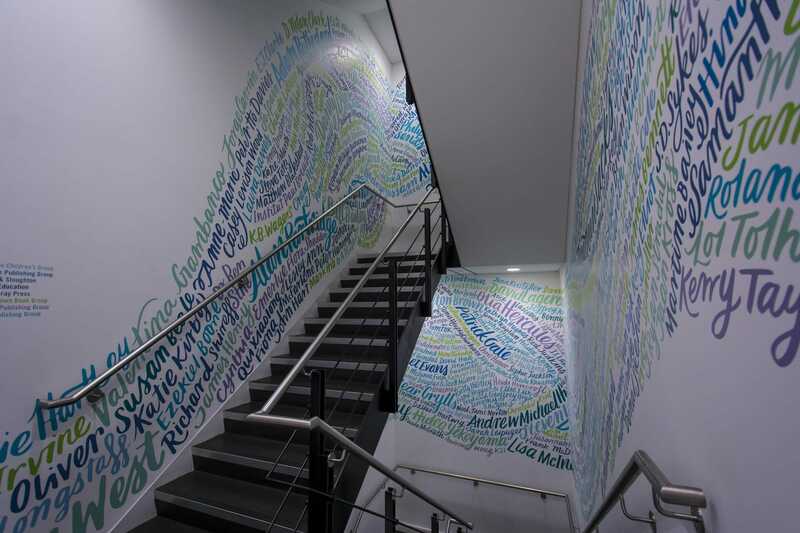 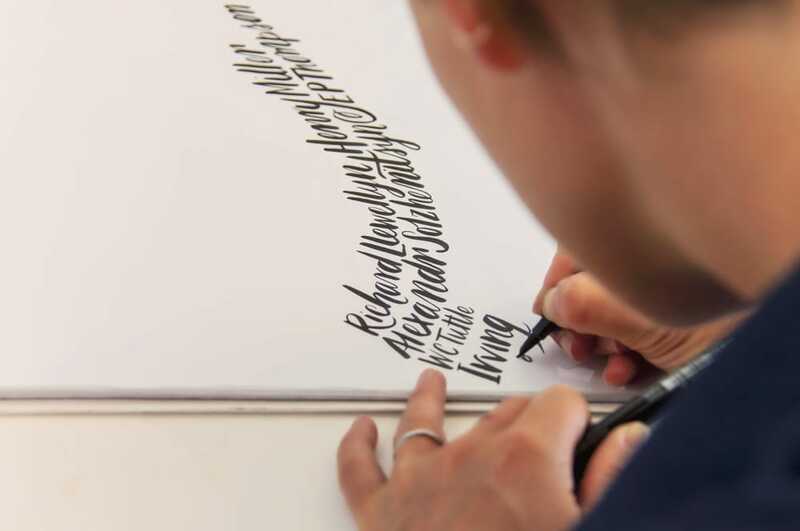 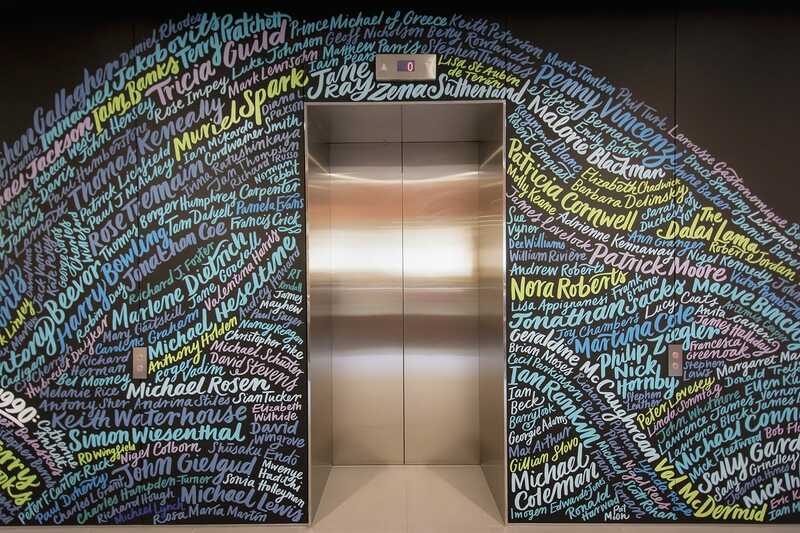 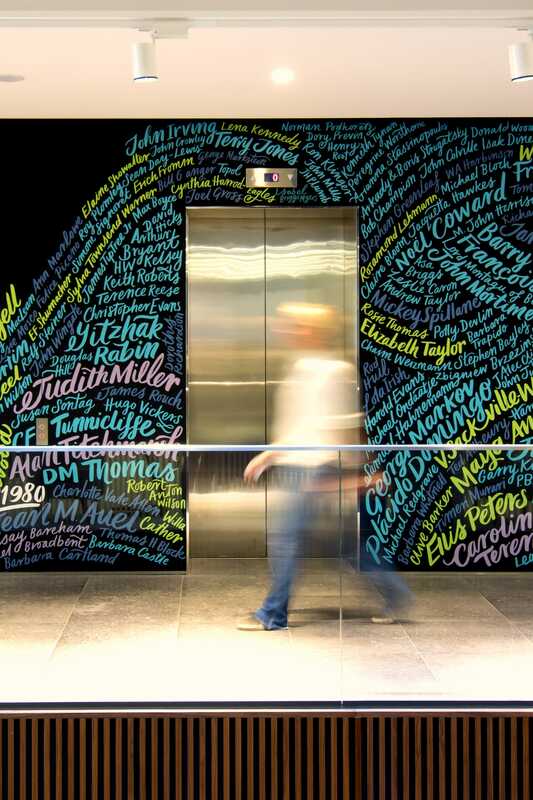 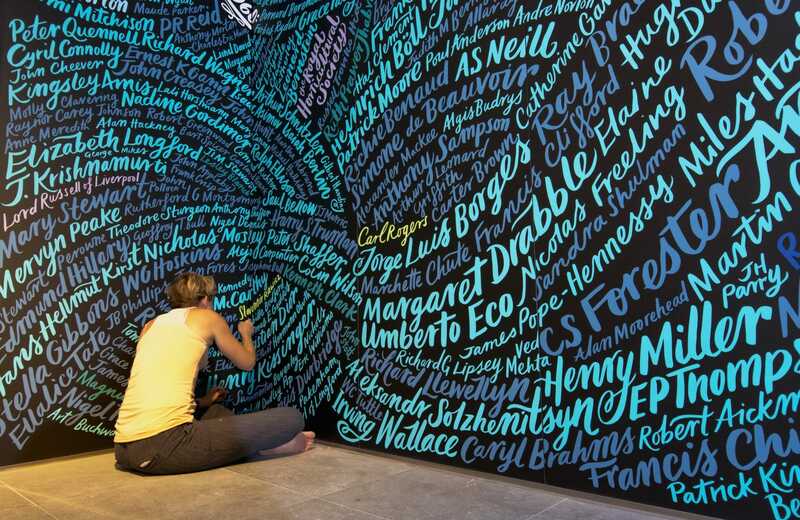 New authors names are added every year, making the mural a living and growing homage to Hachette and its writers. 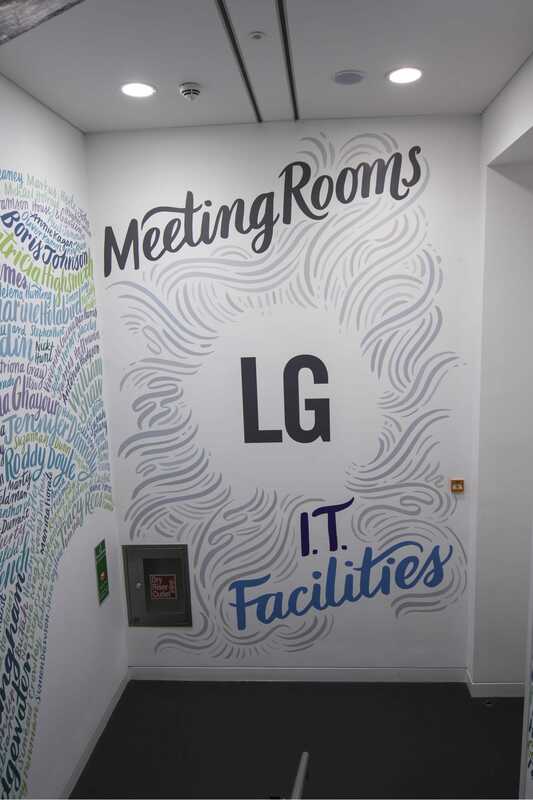 Hand-drawn, vectored and printed on CAD cut vinyl. 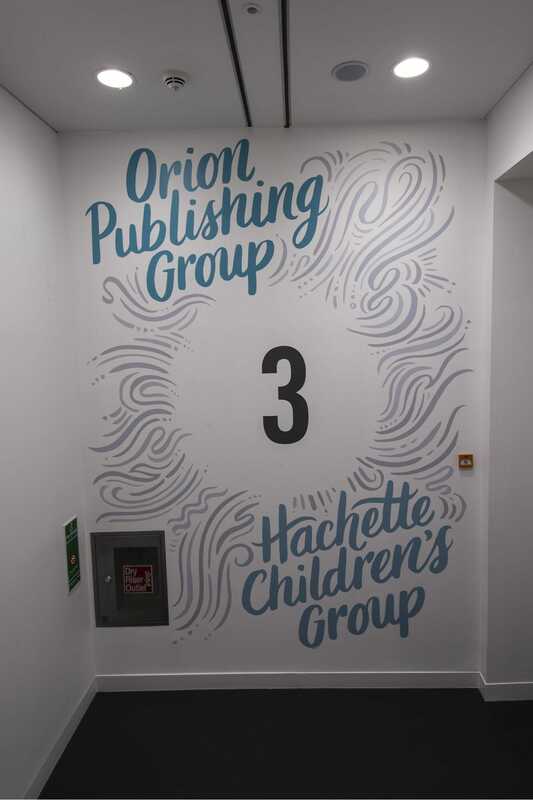 "They understood our unique requirements"